> How Do Pawn Shops Work? – The Secret Revealed! How do Pawn Shops Work? – Pawnbrokers Secrets Revealed! Having financial problems is common to several people in the community. As a result, this situation encourages you to get extra quick cash just to meet your needs and to find things to sell in order to pay off your pending bills. This may provide the cash they need, but it’s probably not a good idea as it forces you to sell away things that may mean a lot to you. This is why pawnbrokers work to offer the best title loans and their numbers are increasing rapidly. Many people in the United States don’t have bank accounts, thus they cannot get traditional bank loans. As for those with bank accounts, many of them have bad credit, meaning they also get sidelined and cannot get the loans like the rest of the population with good credit. 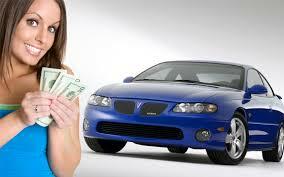 Title loans are loans that you obtain by using your car as collateral. Title loans mean you approach the lender with the car title of your vehicle. You have to ensure that the car is really yours and is not used as collateral in other outstanding loans. These types of loans involve you giving the lender the original title of the car and a duplicated set of keys in exchange for the loan. The loan has a 30-day repayment term. If the title loan isn’t fully repaid by that time, the lender may allow for a rollover for another month with the inclusion of a new interest rate and other additional charges. Typically, if the loan can be cleared by the given 30 days, you will get your car title back and you get to keep your car. Title loans offer a substantial amount of money, from a couple of hundreds of dollars to about ten thousand dollars. It depends on the condition of your car and the market value it has given its current condition. A title loan is a great way of getting quick cash in times of emergencies. It allows you to put up your car as collateral. However, it should be noted that if you cannot fully pay up, the car is taken away and sold by the lender to settle the outstanding debt. Have you ever wondered, how do pawn shops work? Well, these are places that allow you to exchange an item for a loan. This involves approaching the pawn shop with an item like a watch in exchange for a loan. When you pay back the loan, with the inclusion of interest, you get your item back. This kind of arrangement allows you to use anything valuable in your possession to obtain a loan. With this kind of arrangement, you get your money and eventually get to keep your valuable item instead of actually selling it. Pawn shops are very common these days, making the acquisition of loans really easy for everyone, especially those who don’t have bank accounts. The loans offered are small ones usually of a couple of hundreds of dollars. Moreover, you can pawn all sorts of things, from watches to cars. Now, regulations have been established to curb the pawning of stolen goods. This is done by recording all transactions and proper identification of the borrowers and recording what they pawned. There’s a whole new system in place to ensure that the pawning business is legitimate. First, remember that both types of loans are similar and are often confused. However, they have a couple of differences. Generally, they are all aimed at doing the same thing – allowing people who cannot get normal bank loans to have an alternative borrowing option. It’s about letting people with bad credit get financial relief should they have an emergency or unexpected need for money. Pawnshops only offer small amounts of cash. This could range from a few dollars to a couple of hundreds of dollars. This is because the amount of money offered is directly proportional to the value of item pawned. That’s because most of the pawned items are small and usually not worth a lot. Title loans, on the other hand, offer a substantial amount of money, from $150.00 to even $10,000.00 depending on the value of the car you are using as collateral. Most cars are valuable. Hence, this may be the best way you can get a large amount of cash in exchange for your car as collateral. 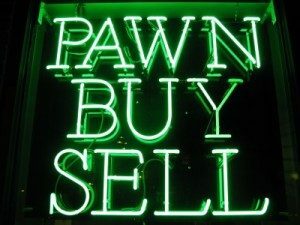 Pawn shops work in such a way that you leave what you have pawned with them in exchange for the loan. It is only after you have fully paid up that you get your item back. For title loans, the lender lets you keep the car you used as collateral. The only thing they need is the original car title and a copy of the car keys before they grant you the loan. Thus, they allow you to keep the car while you pay back the loan. Both pawn shops and title loans are considered secured loans which allow you to acquire a loan even without good credit. Both also have an interest rate that could go up an estimated twenty-five percent of the collateral’s value. This means that they have quite a high-interest rate. However, considering the fact that you can get a pawn shop loan or title loan even without good credit, the high interest seems to be justified. These two types of loans also have a similar repayment period of 30 days. Both pawn shops and title loans are good ways of getting quick extra cash. They are very easy to acquire as long as you have the proper documentation which lender require.